Big Day at the Lake was founded 15 years ago by friends, neighbors and businesses who had a vision of sharing the lake with at-risk children who would not otherwise experience Lake Norman. It takes a village to run Big Day at the Lake, and we are grateful for the hundreds of volunteers who donate their time and talents to serving at-risk children in Big Brothers Big Sisters of the Central Carolinas. 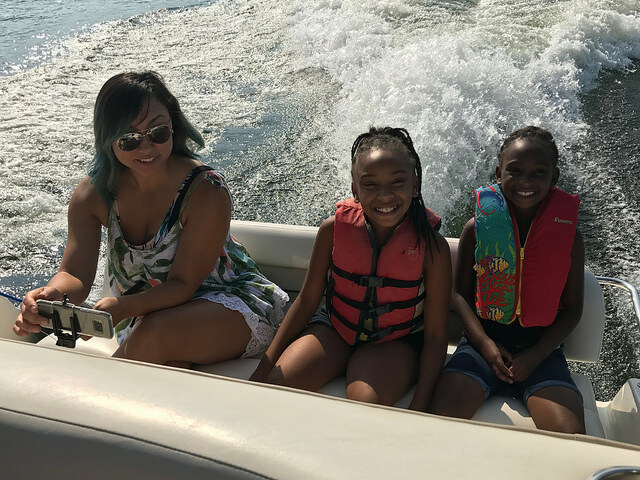 Each year, hundreds of Bigs and Littles enjoy a memory-making day of fun on Lake Norman. Volunteer “boat hosts” share their love of boating with matches. Together, they spend the morning exploring and enjoying the lake, followed by a festive picnic with fun activities for everyone. Bigs/Littles register HERE for Big Day at the Lake!